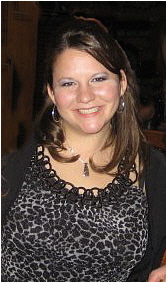 Dr. Amber Capra has been a chiropractor in Pittsburgh for over five years. She has a Bachelor of Science with Distinction from The Pennsylvania State University in Biobehavioral Health, and graduated from Logan College of Chiropractic with a Doctorate in Chiropractic Medicine in 2006. She currently has offices in Upper St. Clair, PA and Pittsburgh (Shadyside), PA.
Dr. Capra utilizes 6 chiropractic techniques and specializes care based on each individual patient. Our two licensed Massage Therapists, Jess Brown and Carly Davis, are experts in assessing the issues of the physical body, to fix these issues through Therapeutic Bodywork, and to maintain a new sense of body balance. Prices are $70.00 for all massage services. We now offer ear candling services.